Jet Tila, with his chef’s jacket on, provided a useful tutorial on the types of soy sauce and their uses. 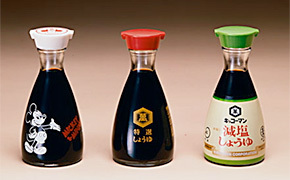 There are differences in flavor and texture between Chinese, Japanese, Korean, and Thai soy sauces. The easiest tip is to use that nationality’s soy sauce with the dish you are preparing.